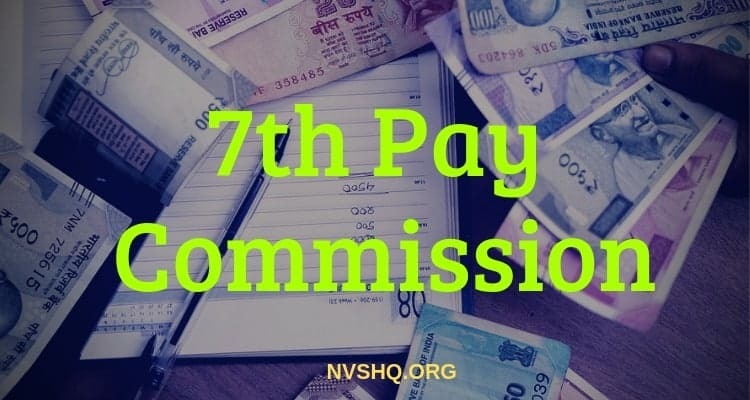 7th Pay Commission Changes And Salary Benefit: Government of India set up Pay Commission and provide its recommendation on the topic in change in salary or the structure of the salary of its employees. Pay commission reads the current pay commission and make recommendations on not just the pay increments but also in the pay structure. In pay, allowances or pension, overall increase of 23.55% will be allotted to the government employees. Rupees 18,000 is expected to be the minimum salary per month of any government employee. The maximum salary is expected to be that of Rupees 2, 25,000 per month for the Apex Scale. The maximum salary for cabinet secretary and other employees at the same level is expected to be that of rupees 2, 50,000 per month. The increment rate annually retained at 3%. The age of retirement of the central government employee has been changed to 60 years. “One rank one pension” system has been introduced. The salary of the employees is expected to increase. This commission will affect 47 lakh government employees, 52 lakh prisoners adding in the defence personnel. The financial impact will rupees 1.02 lakh crore. The budget for railway is rupees 28,450 crore and the central budget is rupees 73,650 crore. Aykroyd’s formula has been adopted by the 7th ay commission so as to determine the minimum salaries for the employees of Central Government. The minimum salary for a central government employee has been marked as rupees 18,000 which previously was rupees 6,660. The maximum salary has been set to Rupees 2, 25,000 per month which previously used to be rupees 80,000. The compensation has been set up for defence personnel only. Then increment has been done. Here are details of increment. For service officers, previously, salary was rupees 6,000 per month. It has been increased to rupees 15,500 per month. For Nursing Officers, the salary was rupees 4,200 per month. The salary has been increased to rupees 10,800 per month. For JCO or ORs, previous salary was rupees 2,000 per month which has been increased to rupees 5,200 per month. For non-combats that have been enrolled in air force had salary of rupees 1,000 per month which has been increased to rupees 3,600 per month. The 7th pay commission is not just benefitting the employees since the government implemented this. College teachers and professors will also get benefited as UGC also opted for increment of 20% in the basic salary of teachers. UGC revised the pay scale and with regard to 7th pay commission, the pay has been incremented. For professors, the monthly salary was of rupees 123,000 which has been incremented to rupees 144,000. For associate professors, the previous salary was rupees 107,000 per month, which has been increased to rupees 126,000 monthly. For assistance professor, the previous salary was rupees 50,000 per month which has been incremented to rupees 59,000 per month. It works on the government which is spending and fiscal deficit. For instance, with the implementation of Sixth Pay Commission, it was a duplication in the fiscal Deficit occurred and reached to 6% in the year 2009 and 2009. It happened due to the increment of salaries. The one percent of GDP consists of Central Government pay allowances. With the introduction of seventh pay commission, the increment of 16% is expected. The government of India would stick to its fiscal deficit targets. As the pay increases, it affects the economy by boosting the consumption.